An application from Harworth Group for a further 400,000 sq ft extension of the Advanced Manufacturing Park (AMP) in Waverley has been approved by Rotherham Metropolitan Borough Council’s planning committee. Designed by The Harris Partnership, the latest phase will comprise 431,000 sq ft of flexible business, manufacturing and office floorspace with 482 parking spaces. AMP was granted enterprise zone status in 2011 and it is intended that the park will ultimately form part of an Advanced Manufacturing and Innovation District spanning Rotherham and Sheffield to become the leading advanced manufacturing and research area in Europe. 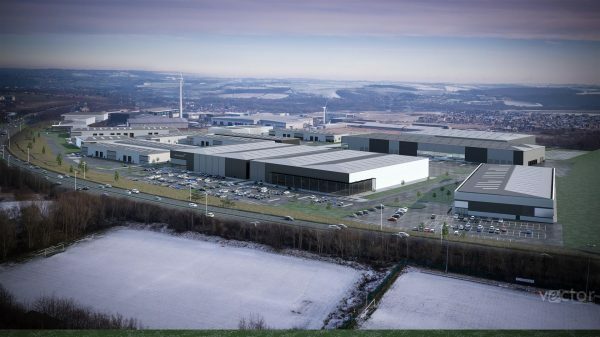 Rolls Royce, Boeing and the University of Sheffield are already based at the park where McLaren Automotive took the keys to its new production facility earlier this month.